As part of a symposium focused on educational innovation around the world at the annual conference of the American Educational Assocation in Chicago next week, we are sharing commentary papers from the participants. 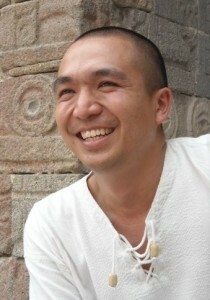 Today’s contribution is from Santiago Rincón-Gallardo, Ontario Institute for Studies in Education. The Learning Community Project (LCP) in Mexico and Escuela Nueva in Colombia are examples of effective instructional innovation at scale. When I talk about instructional innovation I refer to pedagogical principles and practices that deliberately disrupt the traditional instructional culture and power relations of schooling. More specifically, an instructional innovation is one that radically redefines the instructional core by deliberately shifting the relationships between teachers and students in the presence of content. In the LCP, for example, students select their topics of study from the available collection of topics mastered by a tutor in the group, they develop individual lines of inquiry at their own pace, and are expected to demonstrate their learning in writing and in public presentations to the group and often to the larger community. Once they master a topic, they are expected to become tutors to other students – and even to adults in the group. The boundary between teachers and students becomes blurry, with teachers becoming students and students becoming teachers depending on who masters a particular topic and who is interested in learning it. Tutorial relationships are the key technology to encourage deep learning in these learning communities: the tutor and tutee engage in one-on-one dialogue to make evident what the tutee already knows about a topic, identify areas of struggle, and to crafts questions or point to additional materials so that the the tutee t can come up with her own answers. Escuela Nueva in Colombia transforms the conventional culture and structure of schooling into a learner-centered participatory model with a flexible promotion mechanism that allows students to move from one grade to another and complete academic units at their own pace. 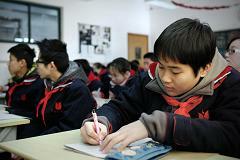 In these multi-grade schools, children work individually and in small groups using learning guides that are by design interactive and dialogue-based as well as learning materials available whenever needed in a “Learning Corner.” Students help each other when they struggle, and ask the teacher for suggestions or comments when necessary. Individual mastery and cooperation are seamlessly integrated into every classroom activity. Teachers constantly move from group to group, tailoring their one-on-one and group interventions to the emerging needs in the classroom. Community participation and a student school government are integrated in the everyday activities of the school, offering multiple opportunities to practice and master democratic behaviors and values. These are examples of instructional innovation in action. They have radically redefined the instructional core. But innovation per se is meaningless if it doesn’t deepen and improve student learning. Both the LCP and Escuela Nueva have demonstrated significant improvements in student performance on national standardized tests, even though standardized tests have not been their area of focus. Learning Community schools increased in 3 years the percentage of students achieving good and excellent levels in language and math at a faster pace than the national average (DGDGIE, 2012), whereas in the 1990s Escuela Nueva students – mostly from rural schools – consistently outperformed their better-off counterparts in urban schools (Psacharopoulos, Rojas & Velez 1992). And maybe more importantly, these two models, have spread from a handful to thousands of schools at some point in time. In 2012, LCP model was operating in 9000 public schools across Mexico. In the 1980s, Escuela Nueva had been adopted as national policy and reached 20,000 rural schools in Colombia. These initiatives are similar in their genesis and development to social movements. Upon witnessing powerful learning themselves and observing clear improvements in the learning and engagement of their students, teachers and local educational authorities have mobilized in coordination with project leaders to activate social networks, spread interest and gain support. Leaders of both projects have been able to gain access to institutional power and political influence to disseminate the new pedagogies on a large scale. Dalila López and Gabriel Cámara, historical leaders of the LCP were invited in 2009 to the Department of Innovation at the Mexican Ministry of Education and once there brought in several project leaders to her team. Vicky Colbert, co-founder of Escuela Nueva, was Deputy Minister of Education in Colombia when Escuela Nueva was adopted as a national policy, she also brought to her team teacher leaders with strong experience on instructional innovation. Once in power, these two guiding coalitions developed a progressive partnership between policy and practice, rather than the conventional top-down separation that has characterized education policy in Latin America and abroad . Across the system, project participants, regardless of their formal role in the institution, were expected to practice and model the new pedagogies on a regular basis. Here are, in a nutshell 5 key conditions that were created to enable the large-scale dissemination of the new pedagogies advanced through the LCP and Escuela Nueva. A key limitation to the large-scale instructional innovation approach just presented is that it is subject to marginalization or disappearance from the policy arena when there are drastic shifts in the political agenda. This has been the case in both the LCP and Escuela Nueva. At the pinnacle of their success, changes in administration and in system priorities resulted in the departure of the national leadership of these projects from their respective Ministries of Education. Bureaucratization, ritualization or mechanization of the original model is also a risk when the innovation is brought to scale too quickly, a phenomenon that has been observed in the two cases in question. In both cases, the work to sustain the movements of pedagogical change spurred by these projects and to ensure quality of their core pedagogical practices has continued through NGOs formed by the former leaders of LCP and Escuela Nueva. As is often the case with social movements, their visibility may be reduced for now, but they continue to cultivate a movement that is radically redefining teaching and learning in public schools. In this new phase, the model of dissemination at scale will have to rely more on the power of effective networks to consolidate and spread the new pedagogies reliably and at scale than on formal access to institutional power. The following post is based on a conversation with Dr. Santiago Rincón-Gallardo. I reached out to Dr. Rincón-Gallardo to learn more about his work in Mexican schools and to better understand how the current political climate in Mexico has influenced the grassroots reform efforts of Redes de Tutoría, a small NGO that catalyzed a movement to transform conventional classrooms in public schools into learning communities where independent learning and tutorial relationships are practiced by students and teachers. An excerpt of our conversation appears below. Click here to read more of the interview. As we have covered in earlier IEN posts, when President Enrique Peña Nieto was elected in 2012 he introduced education reforms that sought to address issues of educational quality and governability through what Andres Delich called a “mix of centralization and decentralization.” As covered in the Harvard Policy Review, lackluster Pisa scores have called attention to the fact while enrollment and basic skills have improved, repetition rates remain high and resources are distributed inequitably. The country’s system for hiring and paying teachers has been pinpointed as a problematic issue. In Mexico, all teachers join the union (SNTE), and the union assigns teachers to schools; teachers earn lifetime tenure after just six month of service. In an effort strengthen government control, President Peña Nieto bolstered the power of the national evaluation agency (INEE), and established higher professional standards and accountability measures for teachers. 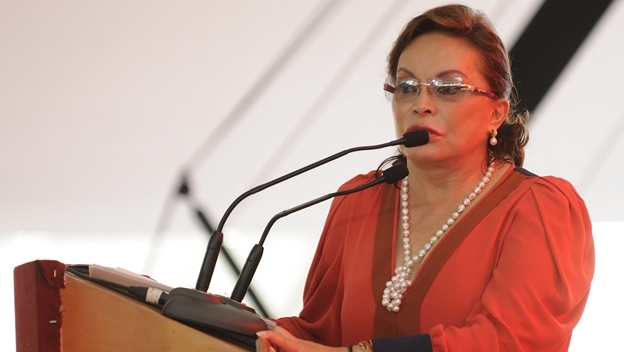 Peña Nieto also arrested union President, Esther Gordillo, on charges of embezzlement and money laundering, and teachers have been protesting the reforms everywhere from Mexico City to Guerrero. In the context of all of this change, we wanted to learn more about how the new policies influence the practice of education and, as Dr. Santiago Rincón-Gallardo explains, the social and political aspects of pedagogical reform. Can you tell us about your work in Mexico, and the ways in which political changes in the country have been influential? Let me tell you a little bit about the Learning Community Project (LCP), which provided the context for my research. In 2004, I was part of a small NGO called Convivencia Educativa, A.C. (now Redes de Tutoría, S.C.) that started working with a few teachers in a small number of schools, providing very intensive classroom-based support for teachers interested in turning their classrooms into Learning Communities. We started working on a very small scale, about eight schools total, working with voluntary teachers in middle schools that were built in marginalized communities with very small populations. We started working with some teachers there, providing coaching and training, but also spending a lot of time in classrooms working with them to turn their conventional classroom into a learning community. We would spend a whole week with each teacher every month in their classrooms, trying to understand what we needed to do and what we could do to turn the classrooms into Learning Communities. Even though the scale was very small there was a strong impact on the engagement and excitement of the teachers and students who joined the project: students were learning better and they were gaining a lot of confidence to undertake individual study, to engage in research and learn on their own, but also to express their views and their learning in public, both in writing and in oral presentations. Maybe most importantly, they also started to work as tutors to other students who were interested in learning what the students had come to master. The excitement that we started seeing in this small number of schools started to spread through the outreach of teachers themselves, and some local authorities who started to get excited to see what these young kids were capable of and how excited they were about learning. They started reaching out to other teachers in other schools, other local authorities in other regions, visiting other classrooms to showcase or display the practice, and then having other people come to their classrooms to see what was going on there. There was a lot of movement and excitement. In four years we had moved from eight schools to about 400 schools that were engaged in this new practice of Learning Communities – we call it the Tutorial Relationships Practice. At that point the Deputy Minister of Education at that time visited one of our schools, and he was very impressed with what he saw there, in terms of the engagement and the skill of the students, so he decided to adopt the model and bring it to scale to 9,000 schools all over the country. At the same time that the movement at the grassroots was taking place, one of the key leaders of the NGO, whose name is Dalila López, was invited to join the Department of Innovation at the Ministry of Education at the national level, and she was able to bring in people from our organization to the ministry. So we were able to create a team within the Ministry to support the kind of work that we felt was worth supporting, which was developing the conditions for teachers to learn the new practice of tutorial relationships and disseminate it to other places. What the leadership at the top did was create opportunities and mobilize infrastructure for teachers to be able to visit other schools in their regions or in other states so that there was the exchange of information and practice all over the country. We found really good results really quickly. The large-scale project started in 2010. By 2012, the schools that had data available, but also the ones that had been engaged in this model for a long time, since 2010, increased the percentage of kids scoring with an excellent levels, at a faster pace than and surpassing the national average. This happened in 2012, everything was moving very smoothly and powerfully. There has not been any other program or initiative in Mexico that has shown a clear and significant impact on student learning, even as measured by standardized tests. We started getting a lot of international attention. We had Richard Elmore from the Harvard School of Education, come to visit our schools. He experienced being tutored by a girl from a rural community, Maricruz, a 13 year old girl who was just amazing at guiding him through his own thinking, and identifying some of the weaknesses in his own thinking about how to solve a geometry problem. She was very masterful in supporting him. Throughout that visit, Richard and I were able to write a paper for the Harvard Education Review that discusses this model, and he got very excited about it. He’s been talking about it in his classes, and in 2012 and 2013 we welcomed about 10 students from Harvard’s Educational Leadership Doctorate program to come and learn about the model and report back to their cohorts about what they have learned. We had that for two years, so in total we have had 21 visitors or so. The work has been attracting the attention of several other international experts. What’s happened since that pinnacle of performance? We had a change in administration at the presidential level, and also a change in the Ministry of Education. They came with a very clear agenda of cutting down any relationship with union leadership, in particular Esther Gordillo and her people. And it so happened that the Deputy Minister who had been supporting this work at the national level, and the one who invited us into the Ministry, was the son-in-law of Gordillo, the leader of the teachers’ union. As soon as this new administration came, they decided to cut down any relationship with them which meant also kicking out the whole team that had been building and supporting this work from the top. So the the leaders who launched and disseminated the Learning Community Project are again grouped around a small NGO called Redes de Tutoría, and they’ve continued to support the work on a smaller scale, but at a deeper level. Right now they’re working with five states that have expressed very clear interest in continuing this work. So the idea is to still go to scale – not at the national level, but at the state level. The strategy is to create “Regions of Excellence,” where you would have several schools who are engaged in this practice and sites where people could come and see what’s possible but also having this as a professional development site for others interested in learning the practice. We’re not entirely sure how many schools are going to continue with this work. As we are putting the pieces together we are trying to find ways in which we can continue to support teachers who are committed to this work but not getting a lot of support from the state-level authorities. We are trying to find a strategy to help continue this work. We’re doing the lobbying that we can because we know that there is some vibrancy in this work that won’t disappear unless somebody wants to really shut it down. I don’t think that’s going to be the case, but we don’t have the political backing at the national level so that teachers can feel free to innovate. The practice has gone underground, it’s invisible but it’s still there. 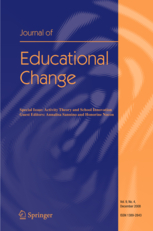 In the most recent issue of the Journal of Educational Change, studies highlight teacher participation in reform efforts in Mexico and a participatory approach to wide-scale change in India. In their study of Mexico’s 2006 Reforma de la Educacion Secundaria (RS) (Reform of Secondary Educatión), Levinson, Blackwood and Cross conclude that despite interest in professionalizing teaching at the secondary level, “for the most part secondary teachers in Mexico neither felt like agents nor partners in the RS…. As in previous reform efforts, teachers mostly felt that they were recipients of plans formulated by government officials, and as a result many have evidenced neither complete compliance nor full commitment to the reform.” They go on to explore the problematic role of the union in the reform and the concerns that many teachers have about the union. 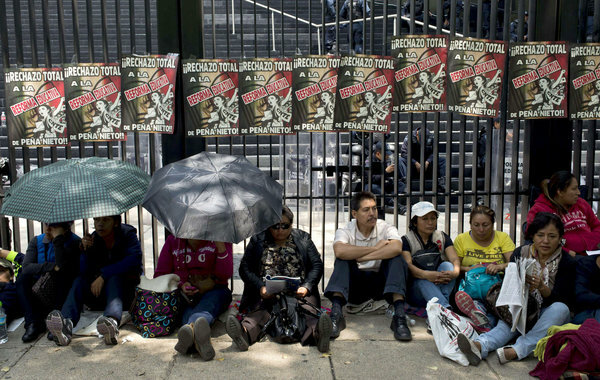 Recent reports from Mexico show that concerns about the union and teacher participation continue. 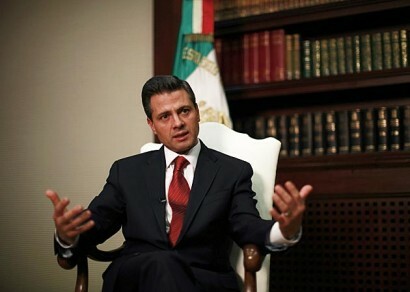 President Enrique Peña Nieto’s recent education reform initiative is widely seen as an effort to diminish the power of Mexico’s teacher union, which has been led by Elba Esther Gordillo; however, it is not clear if President Nieto will provide the essential structure and support that would allow for authentic teacher participation. At this time, the teachers and union leadership have been presented in the press as allies in the effort to protest Nieto’s reform. While recent attention often focuses on the regulations of the Right to Education Act in India (including recent reports and debates about the progress of this initiative), Tricia Niesz and Ramchandar Krishnamurthy suggested that the wide-scale adoption of Activity-Based Learning (ABL) in Tamil Nadu India was accomplished through a more participatory, grass-roots approach. They argue that state-level administrators “engaged strategies for change that combined both movement-building tactics and the conventional tools of administrative power.” These administrators themselves became experts in the ABL method in a way that built good will and moral authority even when administrators used top-down mandates to institutionalize the reform.